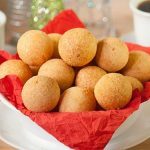 You are here Home » Around the World » South American Recipes » Brazilian Recipes » What Is Cassava And How Is It Used? 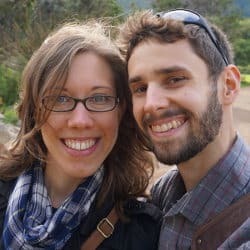 What do Brazilian cheese bread and bubble tea have in common? Cassava. Also known as manioc and yuca, this starchy root is widely used in South American baking (particularly gluten free baking) and cooking. Cassava is a tuber that can be cooked and used in different recipes. 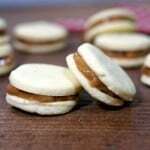 Depending on the process you can get cassava flour, starch, and pearls. Cassava, manioc or yuca (not yucca) are the names in English for this root. Cassava is the tuber of a perennial shrub of the family Euphorbiaceae that grows two to three meters in height (6 to 9 feet). It requires high levels of humidity and sun to grow. It is native to Central and South America and grows well in most tropical areas of South America. This tuber was introduced to African and Asian countries with similar weather conditions and has become a staple for those countries too. 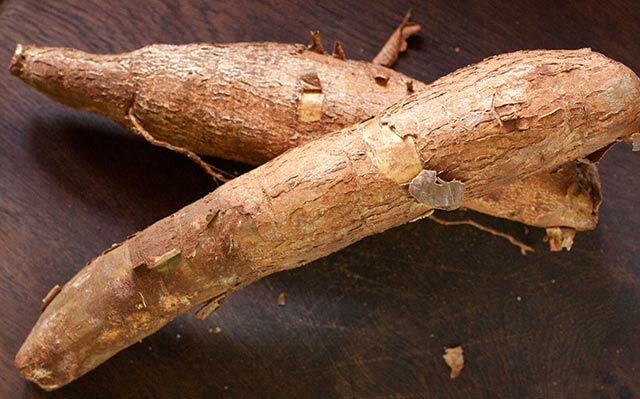 Cassava or yuca root has a thick brown skin. Inside, the pulp is white or sometimes yellowish. In the United States, stores sell fresh cassava root covered in a layer of wax to protect it from bruises. The fresh root must be consumed quickly because it contains a lot of starch, and it goes bad fast. Peeled cassava can be frozen and kept for several months. 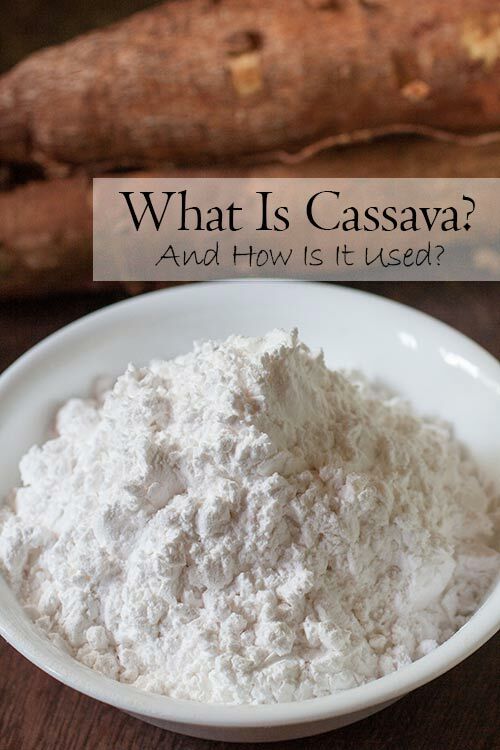 It is true, cassava can be toxic, however an important thing to note is that nowadays there are two different kinds of cassava: wild and domesticated. Wild cassava is the one that is very toxic and needs to be prepared properly to avoid poisoning. Wild cassava contains chemicals which can convert to cyanide in the digestive system. Domesticated cassava (mandioca dulce) contains very little of the toxin. 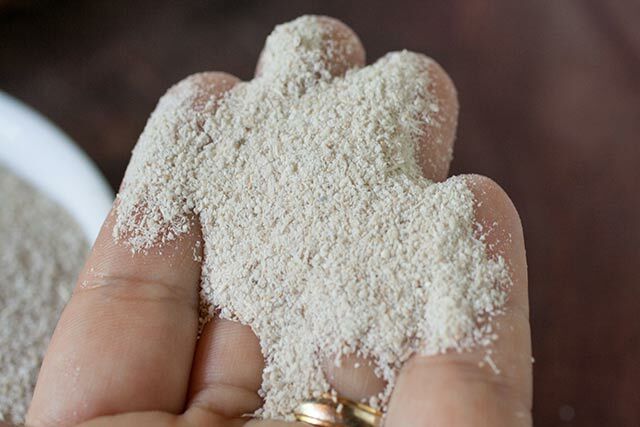 This hydrocyanic acid, which is a gas, escapes from the flour and starch mixtures during preparation and during cooking of the fresh root, leaving an edible product behind. 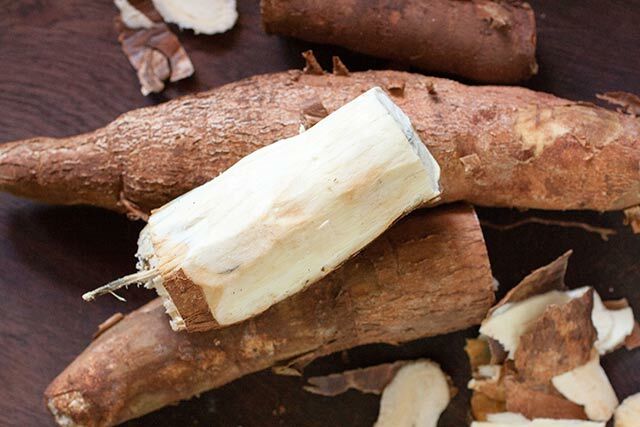 While you can still find wild cassava (in the wild), domesticated cassava is the version that is most common nowadays, and is the one used for commercialization and exporting. 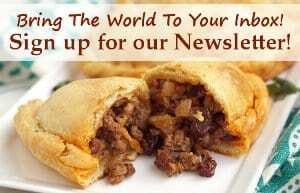 What can fresh cassava be used for? Fresh cassava is starchy and can be used very similarly to a potato. Once peeled and washed, you can cook cassava in a pot with water and serve it as a side dish with some soup. 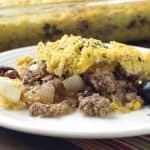 Any leftovers are wonderful mashed with some salt and garlic and served with chicken or steak. Or, use it to make some Pan de Arroz (Bolivian Gluten-Free Bread). You can also cut cassava into sticks and fry them like French fries. 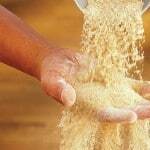 Cassava flour is widely used in Brazil. It is roasted and mixed with pork rind. This mixture is called farofa and it is sprinkled on top of a very popular dish called feijoada. 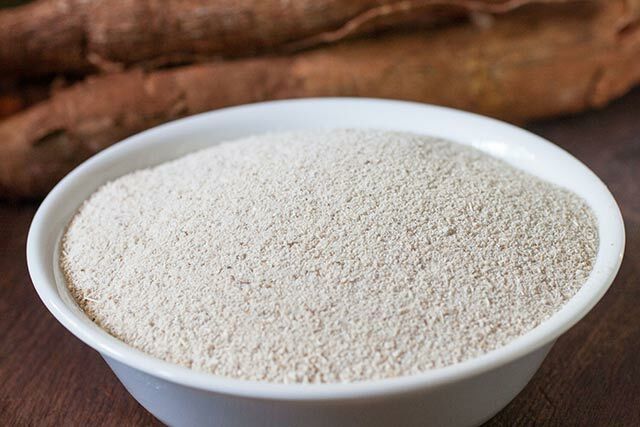 Cassava flour is obtained by grating the white flesh of the root. The grated pulp or flesh is then pressed to remove any of the toxic liquid. Then, the remaining pulp is dried in the sun or in the oven. 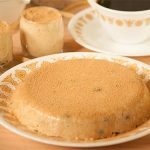 Farinha de mandioca has the consistency of grated Parmesan cheese and is used in many Paleo baking recipes as it is gluten-free and grain-free. 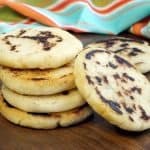 These Colombian Cheese Fritters and this Paraguayan Gluten Free Flatbread both use cassava flour. Tapioca starch is made by grating cassava and washing the pulp several times. The water from washing the pulp is left for 5 hours, during which time the hydrocyanic acid escapes from the mixture. Then it is strained in a very fine sieve, leaving behind the starch. The starch is then dried in the sun. 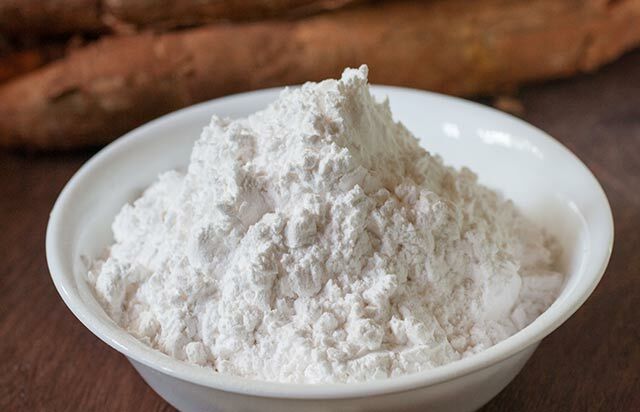 Cassava starch has the consistency of cornstarch and you will find it used in many baked goods all around South America. 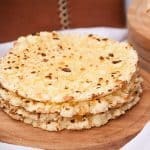 In Paraguay and parts of Argentina, cassava starch is mixed with corn flour, lard, and cheese to make a very popular bread called chipa. 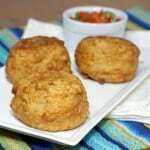 Bolivia, Brazil, Colombia and Ecuador have pan de yuca, or pan de queso (yuca bread or cheese bread) made with cassava starch and lots of cheese. Tapioca pearls or balls are made with tapioca starch. The starch is mixed with boiling water and kneaded. This dough is then cut and shaped into little balls. These little balls are then, baked at a low temperature to prevent burning. After baking, tapioca pearls go into a drying chamber. 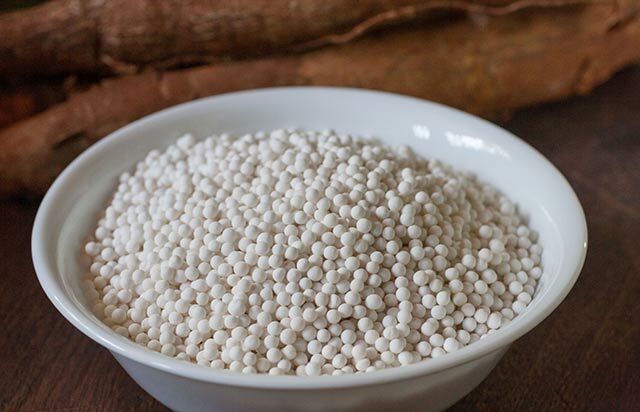 Tapioca pearls have a neutral flavor and are used to make bubble tea and to thicken puddings.